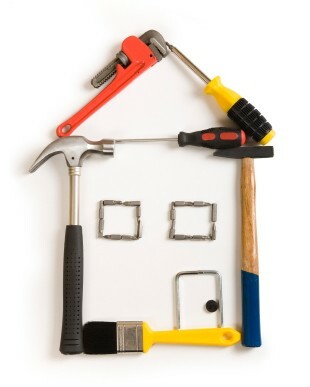 Most homeowners today have at least some experience with DIY projects around the house. There are a lot of little things that happen around the house, inside or outside, and if you had to call a handy man every time a light bulb or air filter needed to be changed you would be spending a lot of extra money that you could save if you did it yourself. If you are a homeowner and don’t feel comfortable doing any project at all I would strongly reconsidering the attempt of a DIY project especially if you are making the improvements to sell your home. There are many simple improvements that can be completed before you sell your home. The following information will get you started on the most impacting items, there is a huge amount to consider when you are making these upgrades but you have to make sure you don’t get carried away and don’t bite off more than you can chew! First things first would be to consider new paint. Even if you just painted within the last couple of years it would be smart to consider a quick re-coat on the exterior and interior walls. After you finish there will be a huge improvement. Another aspect to painting is the finish and color choice. When you are painting main living areas and other bedrooms it is important (when selling) to have colors that are not out of the ordinary. The kid’s bedrooms that are ninja turtle green and princess pink are not always going to have the same appeal to the potential buyers. The idea behind the color choice is allowing the buyer to see a “clean slate”, this doesn’t mean you have to paint everything plain white but rather natural colors are ideal. Additionally, the finish choice of the paint should be taken into consideration depending on the rooms the scale for finish typically includes flat, eggshell, satin, semi-gloss and gloss and goes from most fragile and reflects no light to most durable and reflects a lot of light. Which brings me to the next DIY project, interior lighting. Without getting into the physics behind how electrons move in a wire and how light particles flow through a room, we will keep this simple. Lighting in a house is very important, in fact most of the time you can tell when a house was built by the kind of lighting and how much was installed. I would recommend before completing any electrical work it is important to have the breaker shut off to whatever you are working on. There are many fixtures or even bulbs that could be replaced very easily to improve the aesthetics of your home. Many bulb types and power requirements all have a new and improved bulbs and a “cleaner” whiter light. Moving onto the fixtures I would concentrate on the main living areas, kitchen and bathrooms. Many times surface mounted fixtures and ceiling fan light kits are very easy to upgrade with one mounting bracket and just a couple of wires. Again these updates can be very cost effective, allow a new look, offer a higher quality and better distribution of light. The last item I would ask you to consider is the flooring. When trying to sell your home the most beneficial type of flooring to replace is linoleum or carpet, the nice thing is that these types of floors are SUPER easy to remove. The carpet will consist of padding and tack strips (that holds the carpet to the edge). The linoleum is usually just stuck down and can be peeled up to be thrown away. The options I would recommend as a DIY project would be wood floors, tile, or believe it or not more linoleum. They make really nice and high quality linoleum these days and if it is a small laundry room it may be a good application. Installing wood floors may scare you but they make new laminate wood floor systems that are very easy to to put in, its just a matter of snapping the boards together! Some may say that if it’s not “real” wood then it’s not worth it, but actually this new engineered wood holds up better than real hardwood. When it comes to not being sensitive to water, scratch resistant, low maintenance and cost effective the laminate wood flooring is the best choice. My thought is that the people who love the “real” hardwood floors have never cleaned, sanded and refinished them before or money is not a concern and they have no issue forking out tons of money for upkeep and maintenance. I say for the average homeowner there may be a lot we can’t do but keep in mind we aren’t replacing a roof, windows or pouring a new driveway. A little paint, an eye for good lighting, and a day of snapping in some new flooring goes a long way when trying to sell your home. If you happen to be in the market for a new home make sure to check out the MoveMap on MoversAtlas.com to research potential homes, neighborhoods, and their surrounding communities so you can make the best choice when making your home buying decision! Pretty much anyone you talk to has had one experience or another with selling a home and for every one of these experiences there is a different story and different advice on the best way to sell your home. Unfortunately not every one is real estate expert and there are a lot of myths being spread around about selling a home. 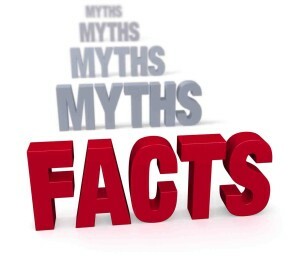 We are here to debunk 5 of the most common myths people hear about selling a home. If your home sells quickly, it is an indication that you’ve priced it correctly. While setting the price of your home high and gradually lowering it over time can be tempting; generally, it is a bad idea. Setting an unrealistic price will scare off qualified buyers and cause your house to sit on the market longer. There is only a limited amount of time your home’s listing will be considered ‘new’; after that time has expired buyers’ sense of urgency is significantly diminished, and the whole process slows down. A good real estate agent will offer you a comparable market analysis to delineate your home’s true market value and help you to price it appropriately. Making improvements to your home can either benefit you or hurt you depending on the circumstances. First of all, don’t go too crazy with the work you do. While making relatively inexpensive improvements such as a new coat of paint on the interior or replanting the flower bed in your front yard are universally recommended and will help you sell your home; more expensive improvements may not actually pay off. For instance, completely refurbishing your kitchen or adding a swimming pool may actually cost you money. Although the improvements may increase the value of the home by $10,000, if they cost $20,000, they’re not worth it. Investment/price discrepancies like this are especially likely to happen if there are not any comparable properties in the area which buyers can use as a baseline to establish a reasonable home value. Another word of advice with improvements is to keep it simple and neutral. Remember that when selling a home, you’re trying to appeal to the widest cross section of potential buyers possible. So while it’s true that at least a few buyers might like candy apple red walls with bright yellow molding, many more people will be satisfied with beige walls and white molding. Overall, buyers are looking for a home that is move-in ready – in other words – a home that is in good repair, with a clean and neutral look. You shouldn’t view the buyer as your adversary. 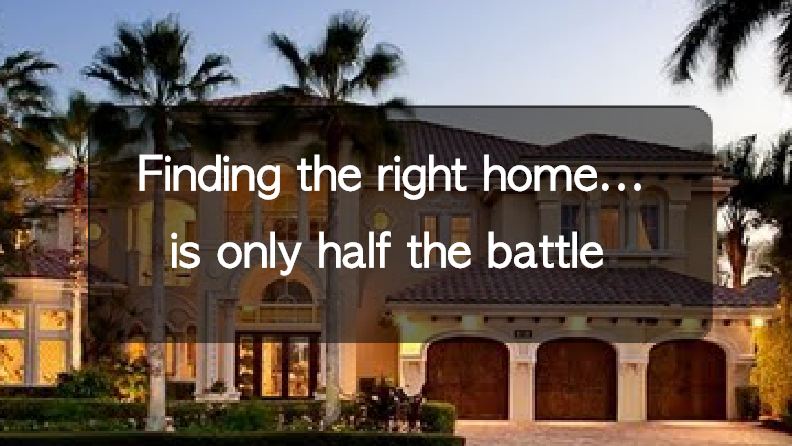 After all, if you argue with every single potential buyer you meet, you’ll never sell your home. Real estate agents recommend that sellers set their home at a reasonable price and approach the process with a positive attitude. Being willing to make minor compromises can be the difference between selling your home today, and having it sit on the market for another six months. Most buyers actually have difficulty seeing the potential in homes that need improvements. This is why many real estate agents recommend that sellers make minor enhancements to their home (such as a fresh coat of paint) before putting it on the market. Most buyers are looking for a home that is ‘move-in-ready’ and making minor repairs/updates can really help speed up the sale of your house. 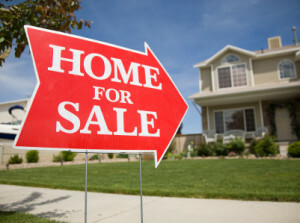 Advertising is used to generate interest in a home, not make it sell. Throwing money at ads for a poorly maintained house will not magically cause it sell. Rather than spend money on advertising, you are far better off researching the correct price for your home and spending your money on any minor repairs/improvements that are necessary. When used in moderation, advertising is a great thing, but you should understand that it will not be the determining factor in the sale of your home; it will only generate interest in it. The home’s condition and price are what the buyer will use to determine whether or not he actually wishes to make the purchase. That concludes our list of 5 common myths and truths about selling your home and we hope you were able to get some good insight into the home selling process. If you have some myths of your own that we didn’t cover please add them to the comments! If you are currently in the market for a new home make sure and check out the MoversAtlas.com MoveMap which provides in depth information on real estate, neighborhoods, and their surrounding communities! You only have once chance to make a good first impression. This applies to meeting new people as well as other situations such as selling your home. That is why it is very important to always put your best foot forward. There is a reason you are to dress nice during an interview no matter what the job is, being presentable sells better and is more appealing than the alternative. This goes true for when you place your home on the market also. Putting your best foot forward does not mean lying or being deceptive to anyone, there is just an important aspect to show others the full potential of what you are trying to sell. You should take the following tips into consideration before you sell your home, keep in mind after this is all said and done you may change your mind and want to keep the house after all! Either way the home improvements will be well worth it. The best selling aspect of a home is what I like to consider the initial “meet and greet” while you are staring down at the directions and trying to navigate the new unfamiliar neighborhood you pull up to what seems to be your destination. Those feelings you get when you pull up to the curb, confirm the address, shut off your vehicle and look at the house you are considering while briefly comparing it to the neighbor’s houses. This is known in the real estate world as curb appeal. At this point the person looking at the house has already predetermined whether they will consider the rest of the house or just being polite to complete the walk-through. The curb appeal must include everything that can be seen standing in the front yard much like paint, landscaping, lights and fences. Some items that homeowners should also consider would be a clean roof and gutters, a freshly pressure washed drive way and sidewalks along with clean windows and nice blinds. If you are trying to get the highest dollar amount for your home and have neglected your grass, the fence has missing panels and there is a small forest growing out of your gutters I promise you people will notice and move onto the next home or give you a low ball offer. Keep in mind a lot of these items can easily be completed by the average homeowner with not a lot of money……just be ready to sweat a little. 2. Clean, Clean, and Clean Some More! The next item I would recommend is your attention to the cleanliness of the interior of your house. You have lived in your house for years and cleaned once a week or even more often but are there things you have missed? Cleaning before selling should be extreme cleaning! This should include scrubbing base boards, dusting doors, door frames, light fixtures, fans and vanities, inside drawers and behind furniture (yes even the pieces that haven’t been moved in 10 years). You should be pulling out the washer and dryer to wipe, dust and mop behind them along with polishing and resealing that stainless steel sink in the kitchen. Anything you can clean, polish, scrub and shampoo I would highly recommend doing before putting your home on the market. Clutter is another big item that many might not even realize because these items have been accumulated over the past several years and have made homes on shelves, drawers and coffee tables. When people tour a home they can understand you are stilling living in the house but they don’t need to see every knick-knack on the mantles, counters and book shelves from the last 20 years. The potential buyer is looking around to see where their big screen TV would fit and how they could make it their home. With this said you need to de-clutter and since you are looking to move I would recommend beginning to pack the clutter in boxes and put it in the attic or even a storage unit. If you keep the bare essentials required to live it will make it much easier for the potential buyer to visualize it as their own. Also there are times when even removing things like large pieces of furniture from living areas or even spare bedrooms that could make a difference on how big or small the spaces look. The extra king size bed in your spare bedroom and 12 piece sectional couch may be nice but if it dwarfs the rooms they are in than your home may not be as appealing as it could be. These ideas are extrememly beneficial and inexpensive when looking to sell your home. With a little elbow grease and a fresh new look you will give your house a better chance at selling for your asking price. While you are preparing your home to be put on the market make sure and keep up the research on your new potential home with the tools on www.MoversAtlas.com.